Professor Clarkson’s research and teaching interests involve a variety of topics at the intersection of trans, feminist, and queer theory. 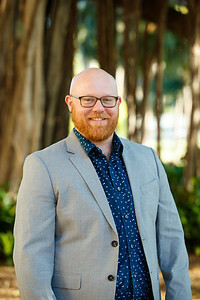 His first research project looked into the effects of post-9/11 surveillance and security procedures on trans people to understand why we were seeing both “progress” of trans inclusion in the U.S. at the level of identity documentation policy and employment discrimination law while, at the same time, airport security practices and security memos represented gender variance as a threat to the nation. His current project looks into the relationship between trans and non-trans gay masculinities to find possibilities for constructing more feminist masculinities. Prior to coming to New College, Dr. Clarkson was a Postdoctoral Associate in Transgender Studies at Duke University. He also previously taught at Indiana University, Butler University, and Minnesota State University, Mankato. Transgender studies, feminist theory, LGBTQ history and politics, surveillance studies, embodiment, masculinities, and HIV/AIDS. “Teaching Trans Students, Teaching Trans Studies.” Feminist Teacher 27, no. 2-3. “Biometrics.” Postposttransexual: Terms for a 21st Century Transgender Studies. Special issue of TSQ: Transgender Studies Quarterly. 1 (2014): 35-37. “Trans Victims, Trans Zealots: A Critique of Dreger’s History of the Bailey Controversy.” Archives of Sexual Behavior 37 (2008): 441-443.